To start with, both come in a similar sized cardboard pot, but the Itsu pot has a plastic lid with a transparent top, fixed on with a plastic seal, whereas Kabuto has a foil top. I have to mark Itsu down immediately on that point, as it’s a waste of packaging. On opening, you can see the Kabuto pot on the left has a sizeable ball of dehydrated noodles and powdered broth. Itsu contains miso paste in a foil package, a plastic bag containing a ball of noodles (about half the size of the Kabuto noodles) and a large pink plastic spork (spoon with a fork end). I can see the need to put the miso paste in a packet, but theres no need for the noodle bag and I’m not convinced about the spork! In traditional instant noodle style, you fill the paper cups with boiling water to cook the noodles and heat/reconstitute the broth. Kabuto is a bit quicker here as you can pour the water in straight away, but Itsu took a bit longer to squeeze out all of the miso paste and open the noodles. Mind you, you’d have to be in a real hurry for this to be a problem. Kabuto noodles get filled almost to the top, but the Itsu pot says fill 3/4, so you do end up with slightly less broth. This picture shows both after they’d been left a few minutes to steep. We tipped them out to eat into bowls to eat them though, as we’re very sophisticated. You can see straight away that there’s quite a difference between the two. The Kabuto broth has a clean, spicy, oriental taste and the ginger and coriander comes through. The bowl looked quite appetising because it was chock full of noodles and had little pieces of chicken and veg through it. Yes, they’re obviously re-hydrated, but the red peppers, green herbs and spring onion have really kept their colour, so overall it looked pretty as well as tasting very fresh. The noodles are big and soft. The Itsu dish looked a bit disappointing in comparison, more of a monochrome soup with noodles hiding in the bottom and brown herbs floating round. Thankfully, the taste made up for the appearance. This one is more of a sweet yet sharp curried chicken miso, with lime a prominent flavour and a bit of chilli heat. The crystal noodles (as opposed to rice noodles) are a different texture: they have a bit more bite, are much thinner, and you have to tease them apart from each other a bit. We used cutlery to eat it because the spork is a bit too big and didn’t work well with the noodles. So in conclusion, the Itsu noodles were tasty but rather over packaged and not so appealing in the looks department. 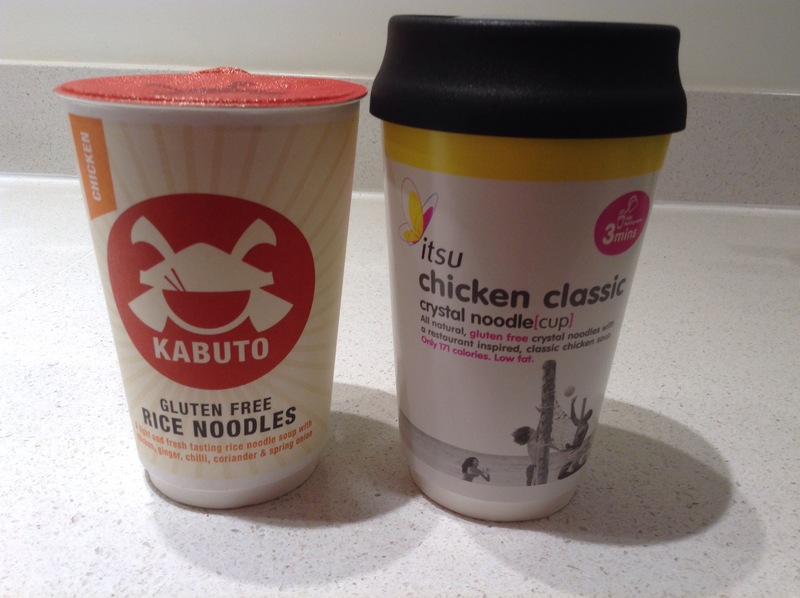 The Kabuto noodles were a clear winner on appearance and packaging, with a very enjoyable fresh taste. If I had to choose one to have tomorrow, it would be Kabuto. You could probably add in some fresh chicken or veg to either of these make a more hearty meal. 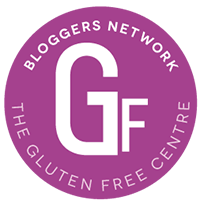 Itsu has a quite interesting range of gluten free pots, which are Vegetable Festival, Chicken Jaipur and (What the) Duck, as well as the Chicken Classic that I tried. I think I’d be tempted to try the other flavours too. Price is £2.